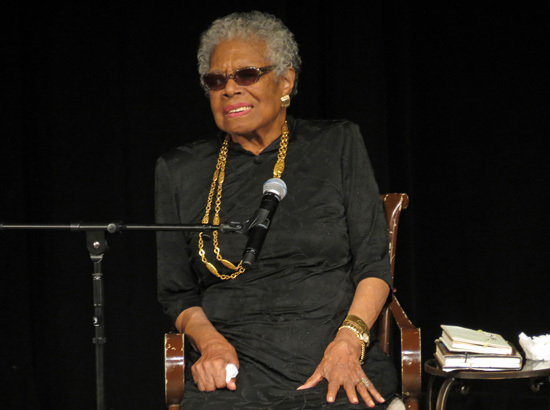 Maya Angelou loomed so large in my life I once crashed a funeral — Alex Haley’s — where I planned to “kidnap” her. The plan to offer her a ride from the church in Memphis, Tenn., to the burial site in Henning made perfect sense: Who wouldn’t want spend about an hour riding up Highway 51 to Haley’s birthplace with Southern-style barbecue smells wafting through air-conditioner vents, telling Maya how she was one of my first friends, confidants and therapists — if only from the pages of her books? I just had to meet her, and if it meant driving three hours from where I was working as a young reporter in Jackson, Miss., to the church that was my refuge as a teen, and crashing the funeral of a famous distant cousin I had never met, so be it. She was basically coming to my home, and I wanted to roll out the red carpet. Alas, Maya couldn’t make it. Instead, I had the honor of meeting Betty Shabazz and her daughter Attallah, snapping photos of a grieving LeVar Burton and greeting the Rev. Jesse Jackson. And I finally got to meet my cousin Alex, even if separated by a Plexiglas casket cover and the flash of my camera bulb, photos I still possess in a little red box on the windowsill of my Hyde Park apartment. As a tween in the early ’80s in a small town outside Memphis, I lived for weekends when I could steal time to read Maya’s books. I huddled in the corner of grandma’s front guest room, the one with the oversized chifferobe and her best handsewn quilts bursting with color. The sun streamed through dusty windows, lighting the pages of “I Know Why the Caged Bird Sings” and others. That time was stolen between finished and unfinished chores, and included side-eye looks from my grandmother who worried my voracious reading habit kept me from being appropriately social. Reading Maya, I learned we shared so much: Our grandmother’s homes were our refuge. In my case, I was escaping an abusive, chronically-ill stepfather back home in Detroit. On College Street, where I lived in the house my preacher/farmer grandfather built with his own hands, I was fortunate to have access to the Taylor family library across the way. In a back room overflowing with books saved from generations of Taylors who had attended Fisk University, I discovered Maya and Langston Hughes, Gwendolyn Brooks, Dudley Randall, Arna Bontemps and so many more. The only checkout rule was to let Miss Taylor see which book we were taking. I spent one spring inhaling everything I could with Maya’s name on it. Whether I was living at my mother’s house or my grandmother’s, I was loved and sheltered by them. I believed my mother was a mindreader and could never figure out how my grandmother knew everything about my life when she never left the house. My cousin was also being raised by Grandma. We were being groomed to be kind, honest, educated and churchgoing — with no room for error. But through Maya, I learned error could and would occur, and I would eventually make some bad decisions. Maya taught me these things wouldn’t define me. Having settled on a career in journalism at 8, Maya’s travels unleashed in me a vision of where I would go in the world one day. The way she reacted to situations without judging herself or others inspired me. Maya’s years of being mute taught me to empathize with my Aunt Beatrice, who was also purposely mute, traumatized by being born with a broken spine, having her legs amputated, watching all of her brothers and sisters literally walk out of her life on to college, jobs and new adventures — wearing new shoes. It turns out I didn’t need to meet Maya to appreciate the black experience or the joy of being an all-American girl in a world that sometimes offers opportunity and often challenges me to just take it. The books, the people, the places I’ve been are all through lines that have connected me to a larger legacy bound by history, family, place, faith and love. Lately, I’ve spent more and more time speaking with my ancestors, something I’ve always thought to be primitive or quaint, viewed through an anthropological lens rather than a practical one. Yet, I’ve found myself asking my late best friend advice on work and social situations. I’ve spoken to my late Aunt Virgi for clarity on powering through difficult times. So connected and communal I have been with those who’ve left, I almost picked up the phone last week to talk to my grandmother who has been gone nearly a decade. The truth is, while I never got to meet Maya I’ve known her all my life. She guided me through an awkward adolescence and taught me what it means to carry myself in the fullness of my womanhood — “a phenomenal woman/that’s me.” In her death, I’ll finally have her to myself: I’m so looking forward to our conversations. 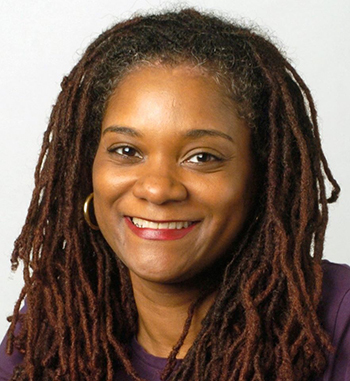 Deborah Douglas is a Chicago-based journalist and adjunct lecturer at Northwestern University’s The Medill School.